If you love adventure and beautiful scenery check out these hiking trials in MO. Enjoy the fresh air and the amazing scenery as you hike up mountains or through the woods. When you look through our guide to the best Missouri hiking spots, you can't go wrong! 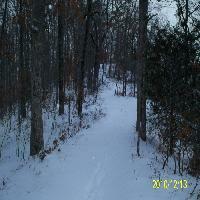 Lone Wolf Trail is a good hiking place located close to Ballwin, Missouri. Featuring a river, the trail can be used in both summer and winter for biking, hiking and more. The trail is 1.5 miles long and the amazing river view makes all the difference. Beginners can also hike here but the trail can get challenging at times, especially during winter. This is one of the best hiking places in Missouri. If you're looking for a great hiking place, visit the Prairie State Park in Missouri. The park has many exhibitions and events happening every week, but if you go during the weekend you can take advantage of the hiking trails and get in shape. The Coyote Trail is unique in its own way as you can encounter wild animals along the way. Owls can also be found in the evening and many tourists visit every day. Cuivre River State Park is not only a way to escape into nature on weekends but also a means of getting in shape and having fun. This park features a rugged hiking place called Big Sugar Creek Trail. The trail is visited by campers and hikers from all over the US and it's very large. The trails feature grass, pine trees, wildlife and a stream and will bring a breath of fresh air into your life. Johnson's State Park in Missouri is rich in history and if you want to discover the ideal hiking place, this is it. The Ozark Trail will show you billions of years of history so besides hiking you will be able to learn more about this great area. The Taum Sauk section of the trail is 35 miles long and it will take you through forests, streams, and more. It's perfect for campers and backpackers. There is no place better to have a picnic at than Babler’s Memorial State Park in Missouri. If you feel sporty, check out the hiking place existing in this park. The Dogwood Trail, one of the 3 trails in the park, has a 2 mile length and goes right through the center of the park. It's not easy however; you should be an experienced hiker otherwise the challenge can be a bit too much. This trail offers a great view to the forest. Battle of Athens Historic Site should be one of your first destinations when you visit Missouri. Not only is an ear full of national history, but it makes a good hiking place for any active person. The park features 2 trails that are visited daily by tourists and residents alike. During the weekend, get ready for the place to be crowded with campers so it's best if you plan your hiking trip during the week. The Bennett Spring Park is an accessible place visited by tourists all over the world. Missouri visitors can enjoy fishing and having a picnic but also sporty activities like hiking, camping and floating. If you want to use it as a hiking place, you can rest assured you can spend the night in one of the available lodges. The park can be reached by car and makes a perfect weekend getaway destination. If you decide to take a weekend walk through the Graham Cave State Park in Missouri, you will see a piece of history just the way it happened. The park features several hiking places, streams, and other national treasures. People who like sports should try out one of the hiking trails that made this park so famous all over the nation. 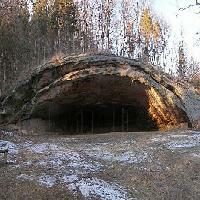 Ancient caves and wildlife are a trademark of this amazing place. The Grand Gulf State Park can be described as breathtaking and is one of the most beautiful parks in the state of Missouri. A true natural wonder, the park features anything a camper could wish for: a great hiking place coupled with nice scenery. The hiking trails can be used by weekenders but also by people who are experienced. Take advantage of these 2 trails and you can be sure you will spend a fun filled weekend. A trip to the Big Oak Tree State Park is a one of a kind experience that will take you back centuries ago. The park includes hiking places, picnic sites, wildlife and more and is a good place to visit when you want to escape the city. The park features 2 different hiking trails that backpackers and campers use every weekend. They are not difficult so anyone can hike here: just wear a pair of comfortable sport shoes.